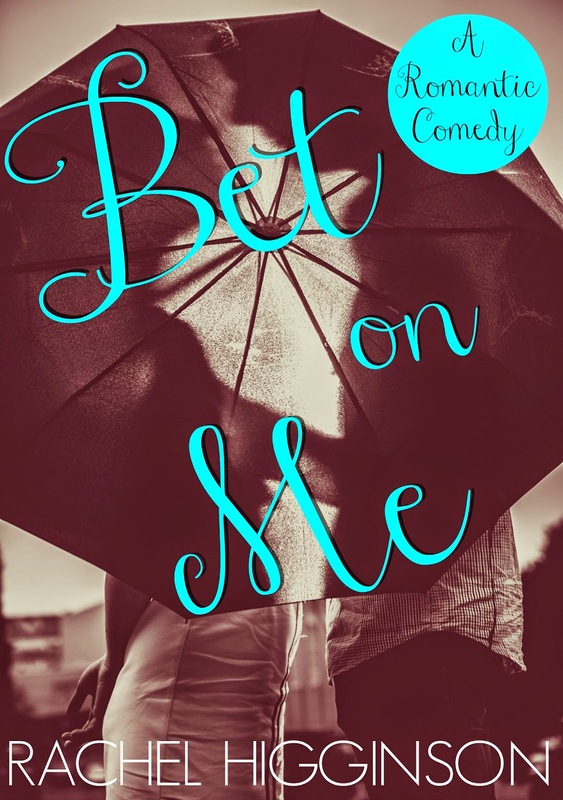 Bet on Me Cover Reveal!!!!! I'm so excited to finally reveal the cover for Bet On Me!!!!!!!!!!! I really really really wanted this book out this month. But... I'm doubting that will happen. Mainly because I wanted Firelight/Heir of Secrets out in April and it's now June with no official release date. I also wanted my kids in bed by 8:30 because we have a really big day tomorrow, it is now 9:50 and I have lost complete control. Anyway. July is a more realistic date for me. I'm hoping to finish up Heir of Secrets this week and then Love and Decay 10 and then it's just me and Beckett's contemporary. First, can I tell you how excited I am to write a simple contemporary???? So. Excited. I need a paranormal break. Which is why I wrote Bet in the Dark in the first place. Paranormals are MUCH harder for me. All the world building. The slow series plot development. The love triangles .The angst. Yeesh. My head hurts. I need something light! And fun! And less complicated!! So I'm really excited for it. And it's partly written! That is also a major bonus! Ok. Anyway. So here it is.... Bet On Me.. Coming to you soon!!!!!!!! All Beckett Harris wanted was to graduate college and start the life he had so carefully planned. Winning has always come easy to Beckett. Baseball, school and girls have never been much of a challenge for him. He’s never had to try for anything in his entire life. And he’s on track to keep it that way. He’s one week away from starting grad school and as long as he does well, he already has his dream job lined up and waiting for him. He has the perfect future laid out and he’s not even going to have to try very hard to obtain it. In fact, the only thing that hasn’t worked out for him was one drunken night with a girl he had no business spending time with. Britte Nichols is uptight, quirky and his sister’s best friend. She is the girl he shouldn’t think about, the girl that won’t give him the time of day. And the girl that won’t even acknowledge the one night that he can’t seem to stop thinking about. Everything is easy for Beckett, except getting this one girl’s attention. And even though he’s a natural at winning things, every time he talks to Britte, he feels like he’s losing. And Beckett likes to win. In an effort to get Britte to notice him and with a promise that he will leave her alone for good, Beckett makes a bet with her that will force her to spend time with him. He just wants her to acknowledge he isn’t as forgettable as she claims; but once he gets to know her, he realizes so much more is at stake than his bruised ego. Britte is the kind of girl that makes him want to risk everything and try for the first time in his life. He’s playing for keeps, but there will be nothing easy about winning her. And just to keep it fun and exciting, we made a t-shirt with the cover on it!!!! Actually... we have a bunch of t-shirts/hoodies/postcards/posters/stickers whatever, you name it on the Redbubble store!!! I just always forget to post about it... So go check it out and get yourself a Bet On Me t-shirt!! !